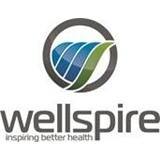 Wellspire Medical Group (Humble) - Book Appointment Online! Mehta Medical Group is a multi-specialty practice that provides the highest standard of medical care in a compassionate, timely manner. We believe that by working together, we can develop a team approach to improve the quality of life for all of our patients. My visit with Dr. Shahid was great he listens and asks questions and gives a plan of action.